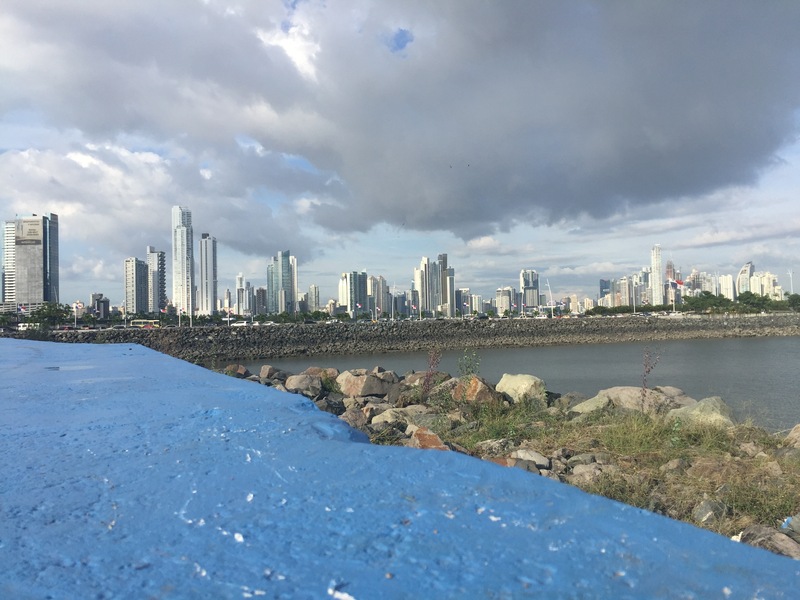 After finishing our incredible trip through the San Blas islands from Colombia, we decided to stay put in Panama city for a few days. We wanted to be able to relax, recharge and enjoy some city living for a little while before heading on to our next stop. A big group of us from the San Blas trip stayed together at the same hostel which was actually really nice, as it meant we had an automatic group to hang out with. To be honest we didn’t do a whole lot during these few days. We caught up on sleep, explored the old town, had a lot of free pancakes in our hostel and myself and Conor even went and got new tattoos, courtesy of @Kail_tattoo. After a few glorious days of really doing absolutely nothing, six of us from our San Blas trip hopped on a night bus to David. 6 hours later, and with little sleep, we impatiently stood in line for our next bus for 45 minutes before getting in an argument with the ticket guy because he wanted to charge us full price and make us stand up for an hour and half. We weren’t having any of that, so soon enough we found ourselves in a taxi heading north to our next location, the awesome Lost & Found Hostel, about halfway between David and Bocas. 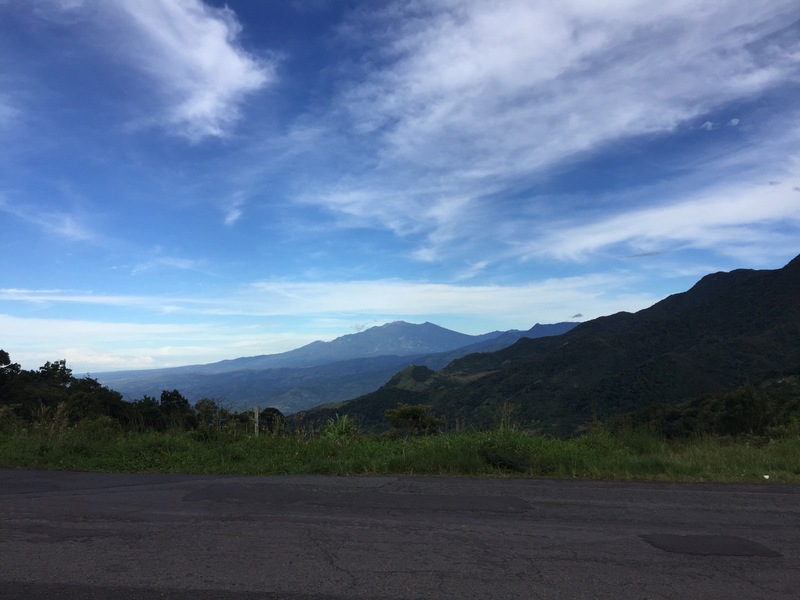 We spent the next 4 days in the depths of the jungle, surrounded by monkeys, birds and clouds, with an incredible view of Baru Volcano. This hostel is special because, as well as having hammocks, hot showers (a novelty in this part of the world), a kitchen, a cute little bar and some awesome hiking trails, it also has a couple of pre-planned treasure hunts that take you around the grounds – you use a special app and have to figure out the answers to the clues to win yourself a final prize. The 6 of us split into two teams and competed to see who would complete the Sherlock Holmes hunt first. While Mel, Rachel and Tegan sped ahead of us to start with, the dream team of myself, Conor and the other Rach soon overtook them as we managed to figure out some pretty tough riddles. Not that we’re too proud of ourselves or anything ;). 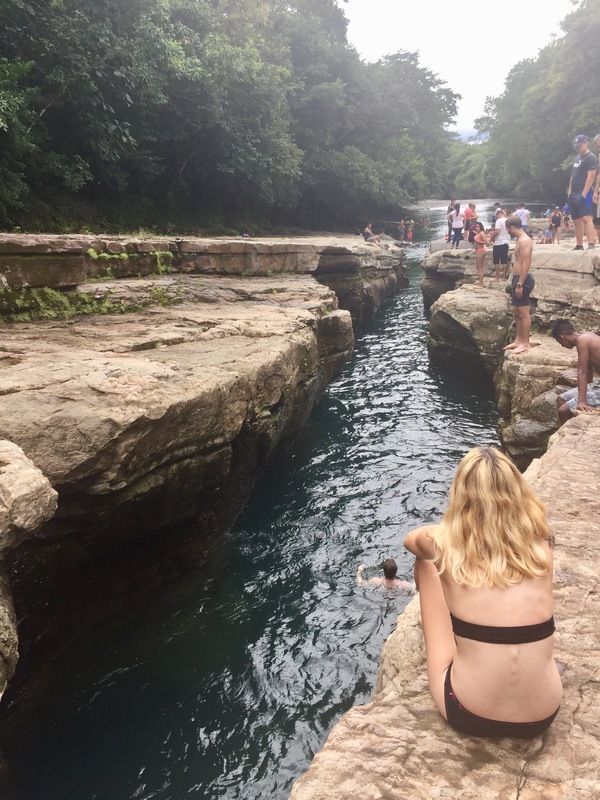 We also got a chance to experience a traditional parade and performances in a local town for Panama’s Independence Day, before heading to the canyon where we spend the afternoon jumping into the refreshingly cold water. Our next stop was Bocas del Toro, somewhere I’ve been before and was excited to revisit. However, literally just as we were leaving, poor Rach tripped over and injured her fingers pretty badly. We weren’t sure if they were broken or dislocated, but a trip to the hospital was definitely in order. The only problem? The hospital was back in David, in the opposite direction to where were were going. We didn’t want Rach going alone, but we figured we didn’t all need to go, so Mel and Tegan went with Rach to the hospital, and us remaining 3 headed onwards to Bocas, with the plan being that the girls would try to get there by the evening. The journey to Bocas was fairly simple – a 3 hour bus to Almirante, followed by a short taxi ride to the docks and a water taxi across to Isla Colon, where Bocas town is located. *Top tip – buy a return water taxi ticket as it will save you money! 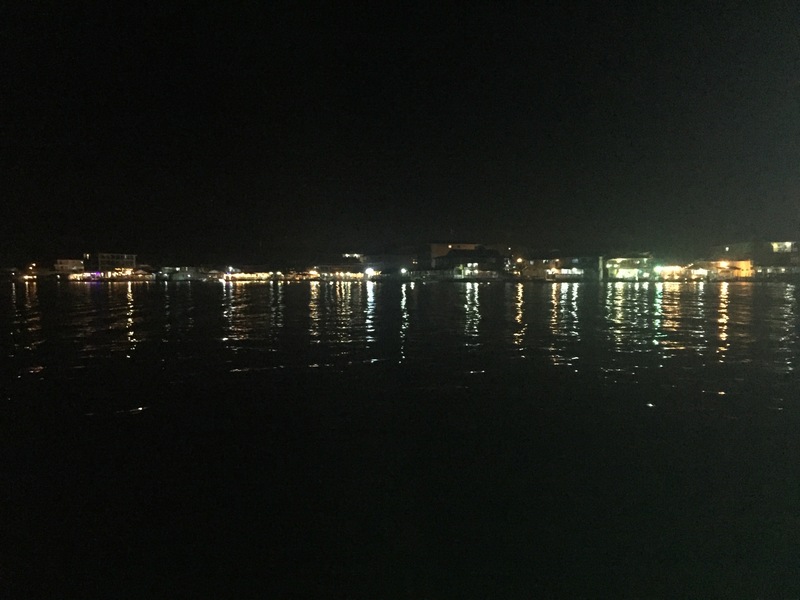 * We had booked to stay at Aqua Lounge hostel, which was just 30 seconds away on the next island over and a $1 water taxi ride. 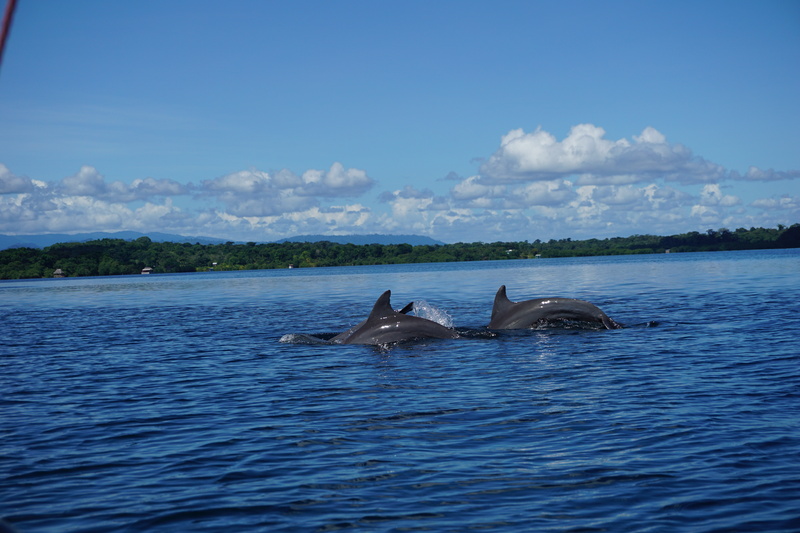 Our time in Bocas was AMAZING! It was so cool to be back and to see what had changed and what had stayed the same. That first afternoon we met up with Anna and Joey (who had finally recovered from his Dengue), hung out, got food and enjoyed the incredible sunset view we had over Isla Colon from the deck of our hostel. Aqua Lounge seemed like a pretty cool place to stay for a few days, with cut-out portions in the decking forming natural swimming pools, straight into the sea, as well as a slackline and tower to jump off into the water. The girls still hadn’t arrived by the evening and we were getting a little worried, but just as we were going to bed that night, we finally heard from them – they had been in the hospital for 5 hours (yup… 2 broken fingers) and missed the last boat from Almirante, so were staying there that night and would be over in the morning. Phew! The next couple of days involved a lot of exploring the surrounding islands. We all visited Red Frog Beach and met up with a bunch of other people from our San Blas trip – it was so nice to spend the afternoon with them all and catch up. We also managed to blag ourselves a pretty heavily discounted day trip, which took us to Dolphin Bay (yes, we saw dolphins), Coral Cay for some snorkelling, the beautiful Zapatilla Island, and we even saw a sloth as he climbed through the trees… incredible. 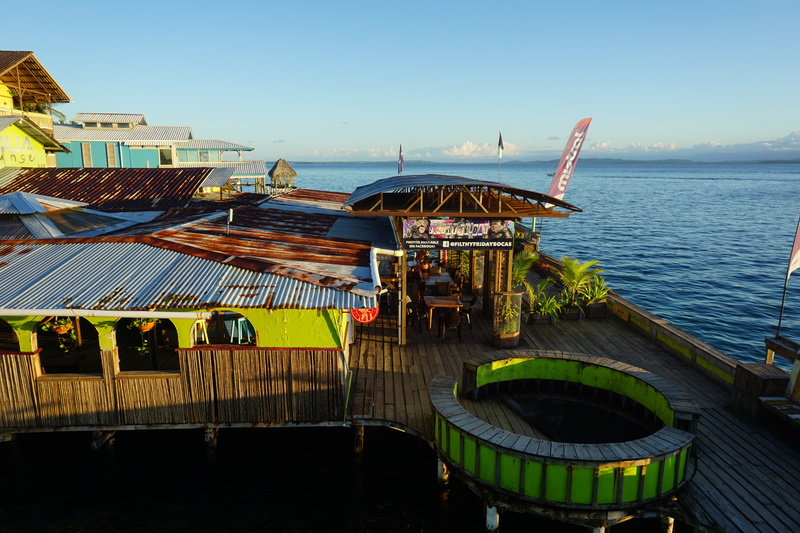 We decided to stay in Bocas for a few day longer than originally planned because we’d heard a lot about the so-called ‘Filthy Friday’, an infamous day time bar crawl around the different islands that ended at our hostel. We decided that we’d just stay at the hostel during the day and join the party when it arrived later in the afternoon – it actually turned out to be a pretty fun night, and not having to go anywhere was a bonus too! The next morning, feeling a little worse for wear, we woke to absolute pouring rain. Not the greatest day to be making the journey across the border to Costa Rica. But the plan was in motion and so, with our bags once again covered in bin liners, we hopped on a rather wet water taxi and headed back to the main land. Once in Almirante we were immediately accosted by people trying to get us to go in their taxis and shuttle buses to the border. After a little bartering, we agreed a price for the 5 of us (Rach had left us a few days earlier) and were on our way to Sixaola, where we would cross the border to Costa Rica. The border crossing was just as I remembered it, and actually it was even easier this time, with absolutely no lines at either the Panamanian or Costa Rican immigration offices! We walked across the bridge and that was that… we’d made it to our 4th and final country on this awesome adventure!